In Astrology, as in Life, Religion and Spirituality are two separate concepts. The former pertains to anything associated with an organized religion. The latter implies an esoteric sense of well being that is Universal in nature, whose essence isn’t attached to any pre-established doctrines, as the former does. The former is firmly rooted within the functionings of the rational mind, by being heavily steeped in both knowledge and dogma. The latter is based wholly within that which is intangible and non-rational, since it serves as a function of human Intuition, and is sustained by an energy source which cannot be measured, Faith. The former deals with this plane of existence, the latter, anything but. In Astrology, these two differing concepts, whose foundations are separately based within the rational and the intuitive, are separately located at two different points within the Wheel of the Zodiac. That which is religious is associated with the sign of Sagittarius, and its naturally ruling House, the 9th. That which is spiritual is associated with the sign of Pisces, and its naturally ruling House, the 12th. For those readers that are especially fond of dogma, particularly of the Christian kind, you may want to scroll down a few paragraphs and bypass this next little section, altogether. Otherwise, brace yourselves for the incoming missile that’s huzzing itself straight at one of the core tenets of the Christian Faith. Christianity’s namesake was not born on the 25th of December. Yes, that date marks the biggest holiday in all of Christendom and throughout Western culture as a whole, but truly, there is nothing about December 25th, nor the sign of Capricorn, that can be remotely associated with the man whose name is housed within both Christianity and Christmas, Jesus Christ. What December 25th still holds true today as does with its origin, is its use as an attractive sales tactic meant to win over the general populace. The date was a marketing tool which the early Christian Church implemented as if it were Pepsi competing with the Coke of Paganism. In the proceeding centuries following Christ’s death, the most celebrated holiday amongst Pagans was The Winter Solstice, which fell on December 21st. In order to attract more followers to their flock, the early Christian Church took the competition’s biggest holiday, moved it back a few days, and pumped up the enticing allure of membership by promoting their new and improved holiday as the birthday of the Son of God. Numerous theories abound as to exactly when the birth of Christ actually took place, but a date which astronomer and astrologer alike are concurring with more and more over time is the 2nd of March, which occurs near the exact midpoint when the Sun is positioned in the Zodiacal sign whose symbol is the Cosmic Fish, Pisces. Intriguingly, the imagery which Christ predominantly incorporated in both His teachings and miracles, that also was implemented as a secret code which signified congregation amongst the Early Christians during the time of Roman persecution, just so happens to be the representative symbol of Christianity, today – The “Ichthys”, a Greek word meaning “Fish”. It’s no chance matter of circumstance that members of today’s 21st century society who identify themselves as Christian, display the ancient Christ-like symbol of the Ichthys Fish on the bumpers of their cars and any other modern accoutrement deemed appropriate as a visual indication of their religious orientation. Why? By its association with the sign of Universal Spirituality, Pisces, the Christian Fish symbol transcends the many sects of organized religion that Christianity has been subdivided into over the centuries, and by virtue of its simple imagery indicates the basic, yet profound notion of a person having Faith in a higher Source. Hence, it was with the deepest sense of reverence upon discovering that the event which marks the resignation of Pope Benedict XVI is predominantly based in both the sign of the Cosmic Fish, Pisces, and its corresponding 12th House, otherwise known as The House of Spirituality. But before prognosticating any events associated with the current times, we must first look far to the past, and review the life of a monk who foretold nearly 900 years ago all that has already come to pass regarding the succession of Popes….right to the present day. St. Malachy was a monk who lived between the years 1094 – 1148 and was the first canonized saint of Ireland. Upon becoming the Archbishop of Armagh, a town in Northern Ireland just outside of Belfast, Malachy made a pilgrimage to the Vatican in 1139. While in Rome, the monk was shown a prophetic vision. Within the mind’s eye of the saint a list unfolded which named every successive Pope that would rule over the Catholic Church from 1139 until the end of Time. During his pilgrimage from Ireland to Rome, St. Malachy travelled through France, and it was there he met his dear friend, the Benedictine Abbott, St. Bernard of Clairvaux. 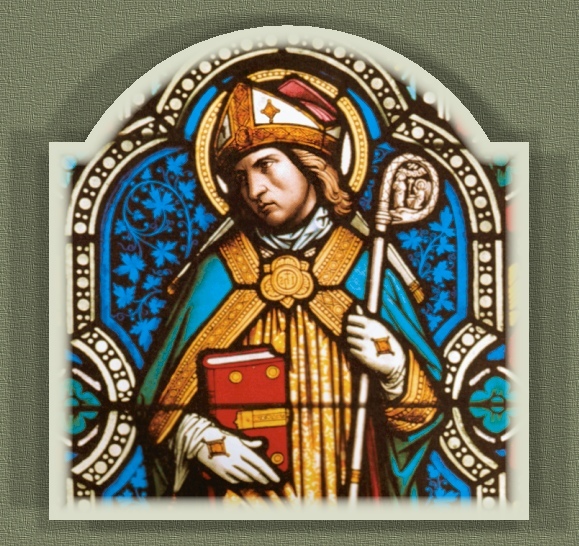 St. Bernard documented the events of his friend’s life as they unfolded, eventually writing “The Life of St. Malachy of Armagh” a few months after his friend’s death. The ending of the Archbishop’s life must have been quite the mystical occurrence for St. Bernard, given the French Abbott was not only present at the death of St. Malachy, he was also told in advance by his friend of its coming. While making his 2nd pilgrimage to Rome, the Irish mystic fell suddenly ill and could go no further upon reaching Bernard’s Abbey in Clairvaux. St. Malachy died in the Benedictine monk’s arms on the very day he confidingly foretold to St. Bernard when his soul would leave this earth, on All Souls Day, November 2nd, 1148. Starting with Pope Clement II, who ruled from 1143-44, the Irish mystic summed up the reign of every future Pope for the last 900 years and counting, by describing each of their Papal rulerships with a key Latin phrase. Malachy put his prophetic vision in writing soon after experiencing it, entrusting his prophecies, which were now in hard copied list form, to the reigning Pontiff at that time, Innocent II. Strangely, the list of Malachy’s prophecies became lost within the libraries of The Vatican for the next 400 years, resurfacing once more in 1590. To be expected, the interpretive meaning behind some of these Latin phrased prophecies needs to be stretched considerably if they are to aptly describe each Papal reign, but some are uncannily literal. Keeping in mind Malachy’s predictions were made in the year 1139, in describing the future reign of Pope John XXII (1316-1334) 200 years later, the Irish saint used the phrase, “De Sutore Osseo”, which literally means “From the bony Shoemaker”. John XXII was the son of a shoe maker and his family name was “Ossa”, which in Italian means “bone”. St. Malachy used the phrase “Lilium et Rosa” “Lillies and Roses” to describe the reign of the Pope who would be Urban VIII (1623-1644), whose family coat-of-arms was, you guessed it, Lillies and Roses. Even when they appeared to be completely off the mark, Fate had a way of making St. Malachy’s predictions come to pass. When Pope Pius XII died in 1958, the conclave of Cardinals gathered in Rome to elect a new Pontiff. Realizing St. Malachy had predicted the upcoming Papal reign with the phrase, “Pastor et Nauta” “Shepherd and Sailor”, Cardinal Spellman of New York rented a boat, filled it with sheep, and sailed up and down the Tiber River upon the election of Pope John XXIII. Some religious scholars and theologians claim St. Malachy’s predictions to be forgeries, others claim the Latin phrasing to be so outlandish as to be nonsensical, especially when applied to the succession of Popes during the last 100 years. As we shall see in Part III, Astrology is a unifying force which supports the authenticity of St. Malachy’s predictions by attempting to fill in the theoretic holes of debate behind their 400 year disappearance, as well as helping to refute the widely held belief that these ancient words of prophecy were forged many centuries later and implemented as manipulative tools of Papal propaganda. The further my research delves deeper into this most fascinating of esoteric topics, the more I’m able to observe just how crucial a role Astrology plays for these phrases of Papal prognostication since astrological interpretation appears to be the best (and possibly, only) method of deciphering meaning when applying Malachy’s mystical words to the succession of Popes over the last 100 years. The last part of this series also hopes to show that Pope Benedict’s upcoming resignation is a current event of mystical proportions, since astrological interpretation transforms it from being merely just a news item about organized religion, to a spiritual sign of the highest order meant to uplift the faith of all Mankind.